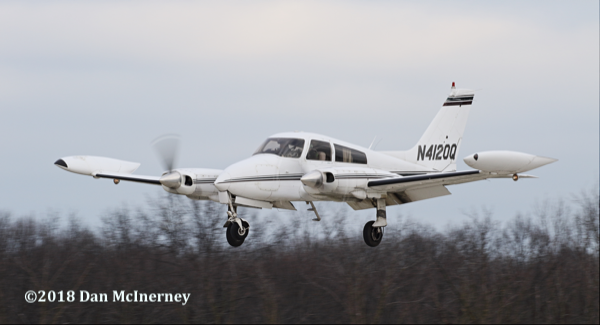 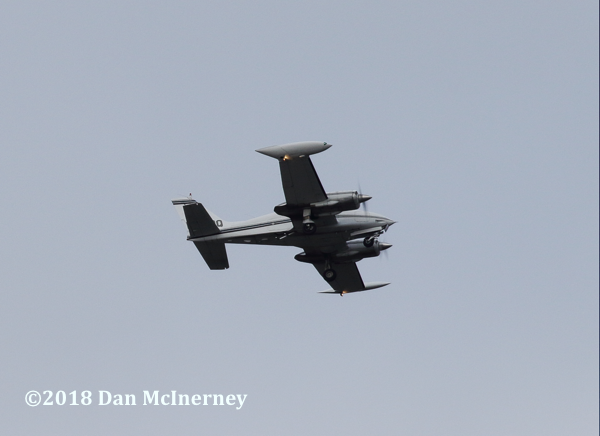 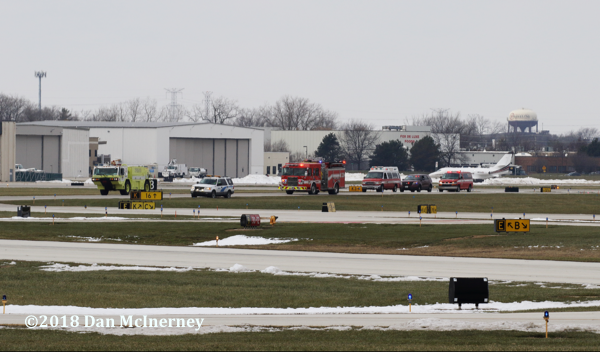 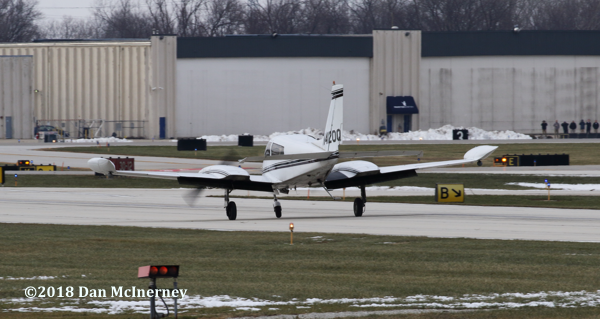 The aircraft with 2 souls on board circled for approximately 90 minutes to burn off excess fuel before landing. 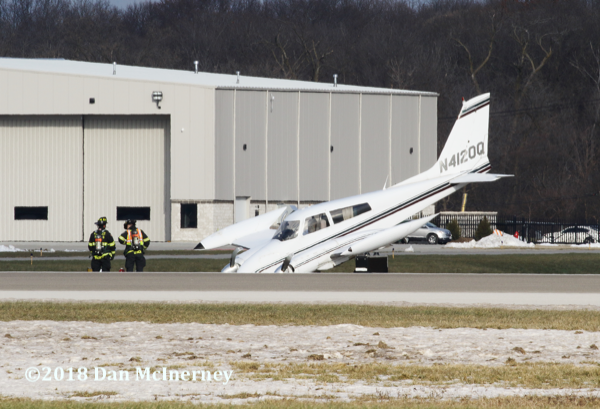 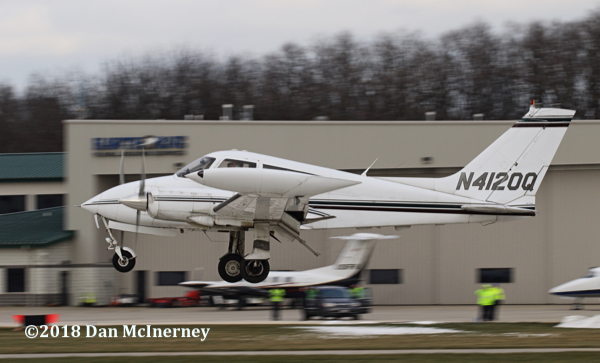 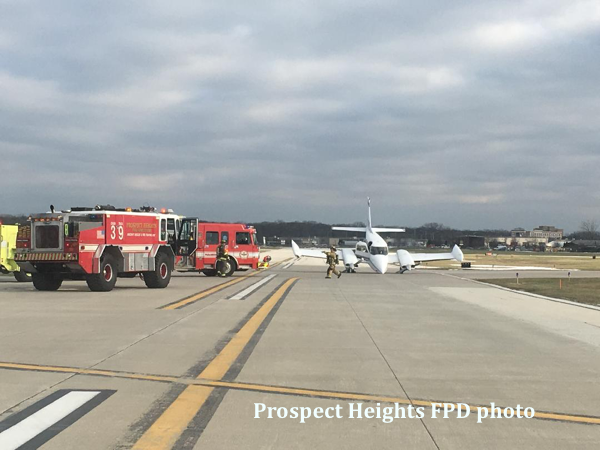 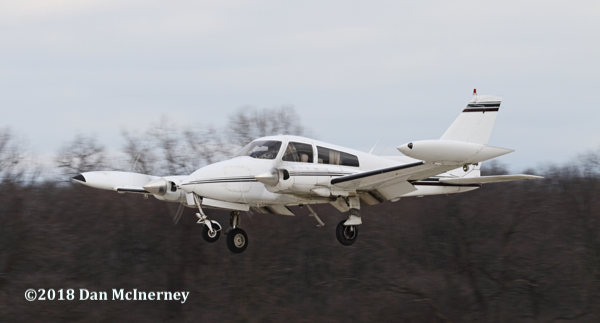 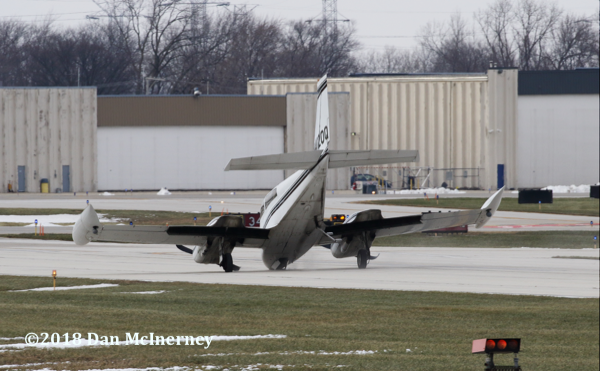 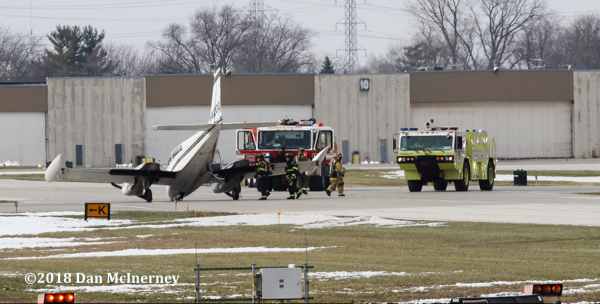 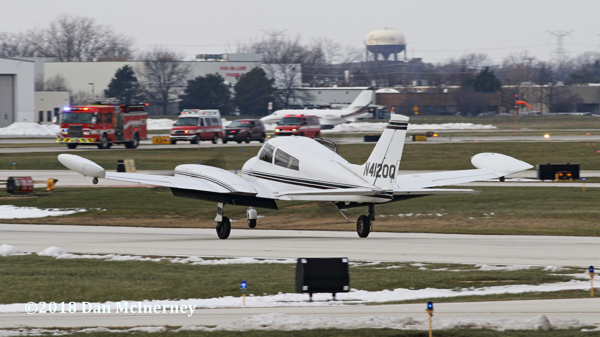 The pilot did an excellent job bringing it in with no injuries and minor damage to the airframe. 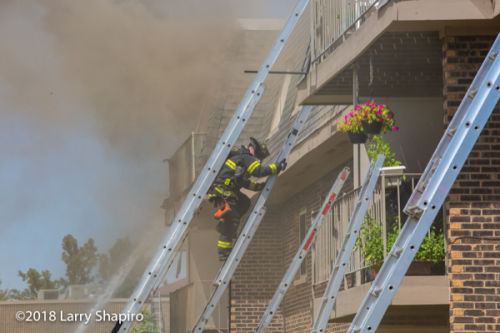 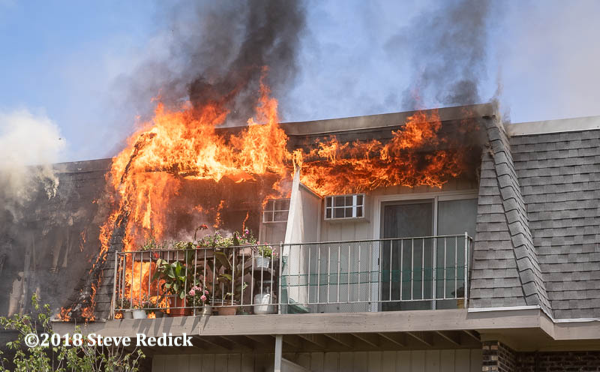 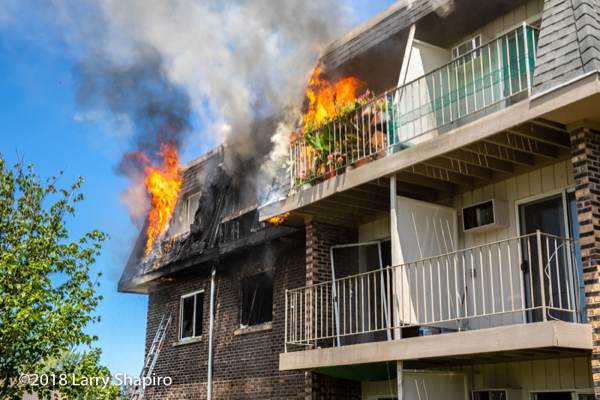 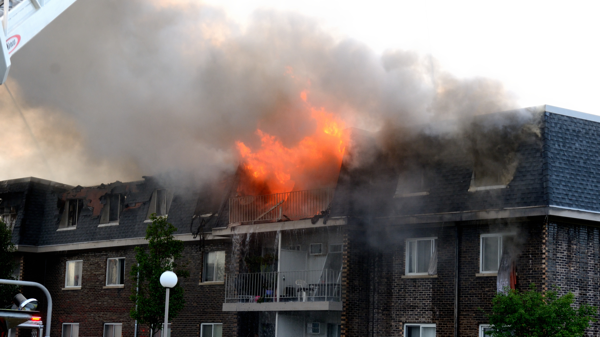 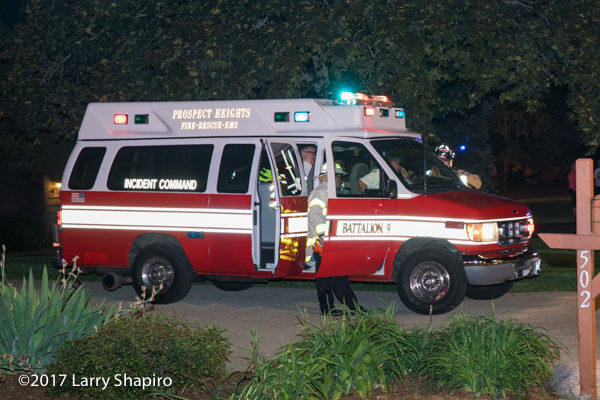 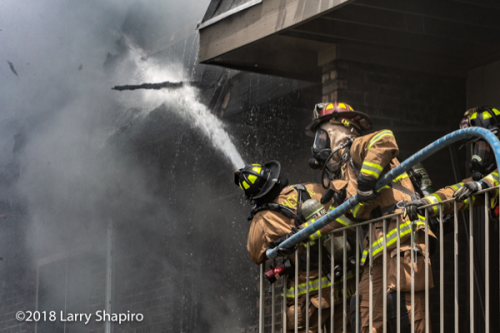 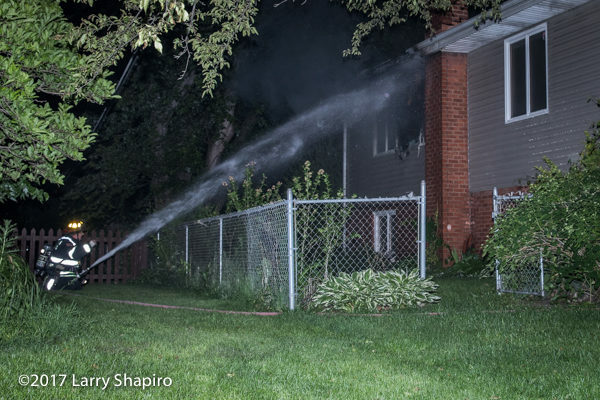 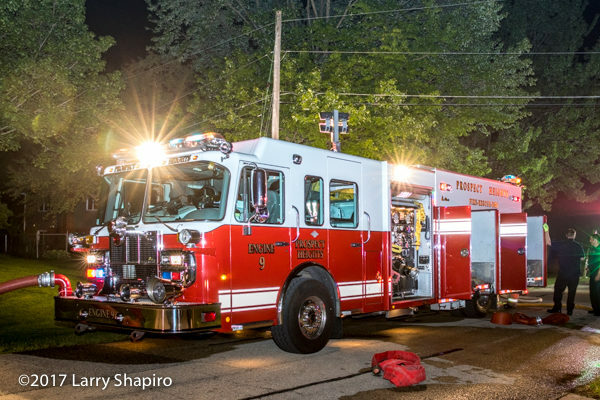 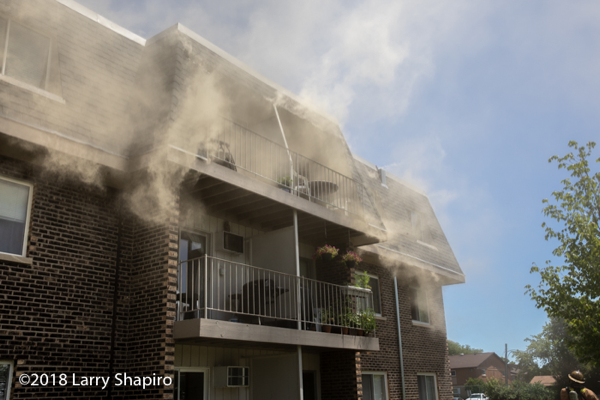 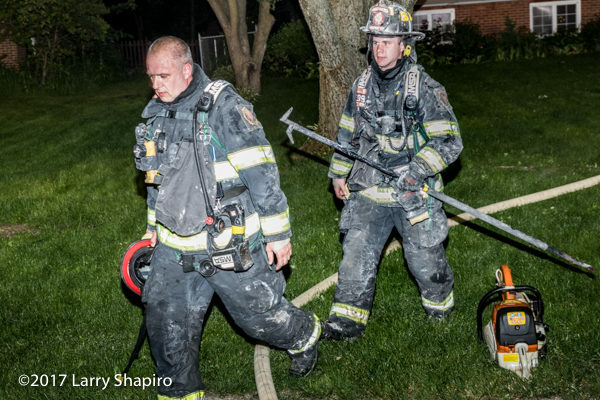 The Prospect Heights FPD (IL) was called for fire in a second story apartment unit at 848 McIntosh Court 7/18/18. 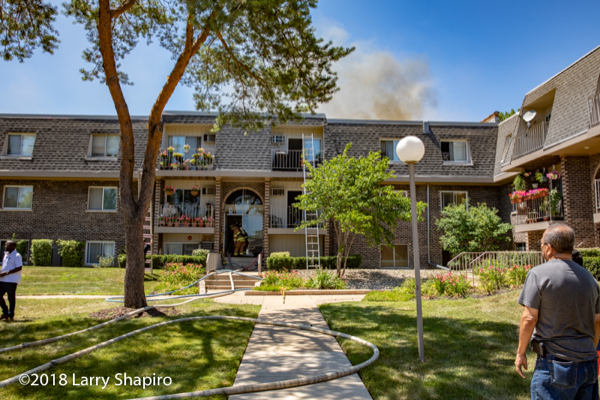 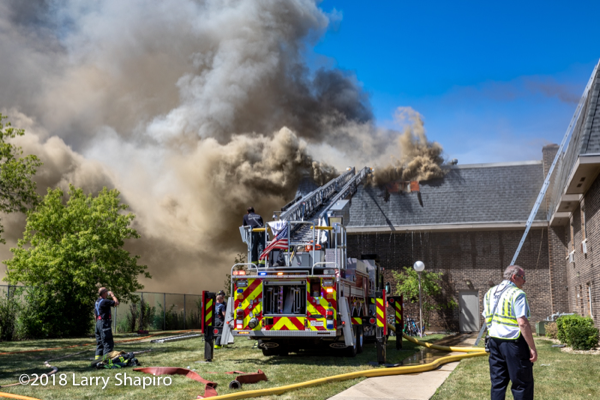 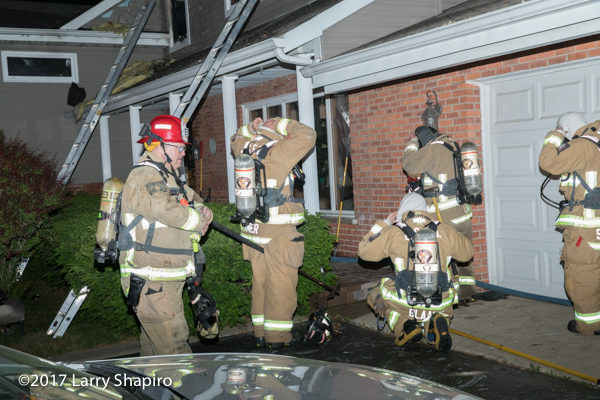 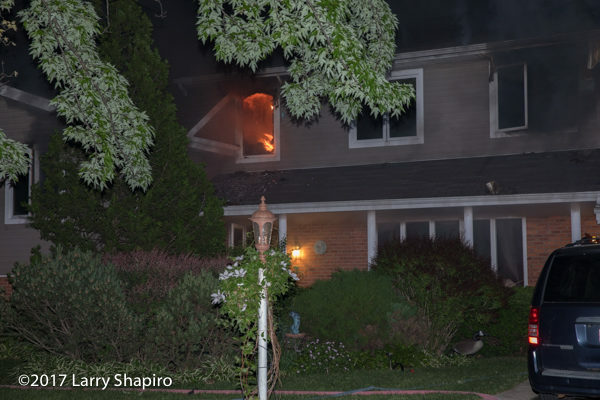 Based on smoke and then flames seen by the battalion chief while responding, the alarm was upgraded to a working fire and then a Box Alarm before he arrived on scene. 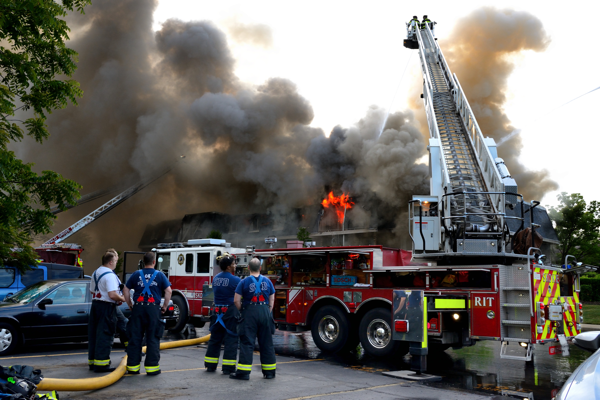 The 3-story structure is one of four identical buildings that make up a continuous complex. 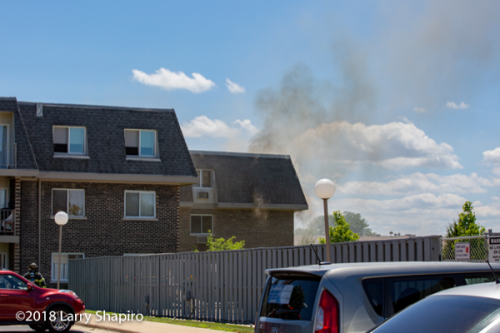 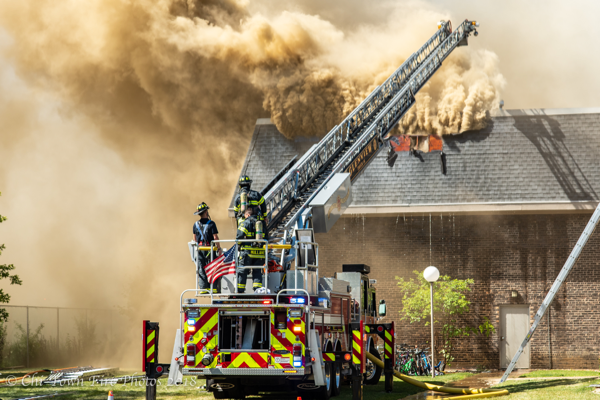 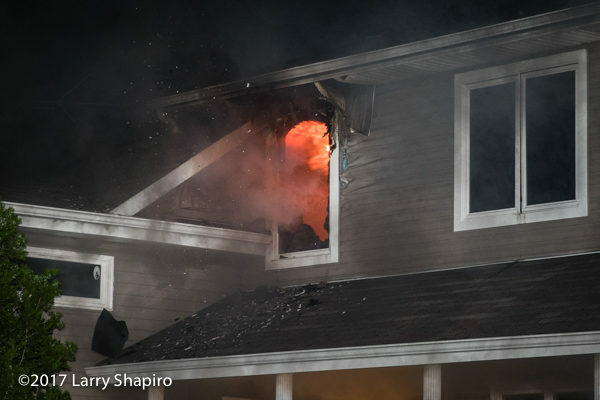 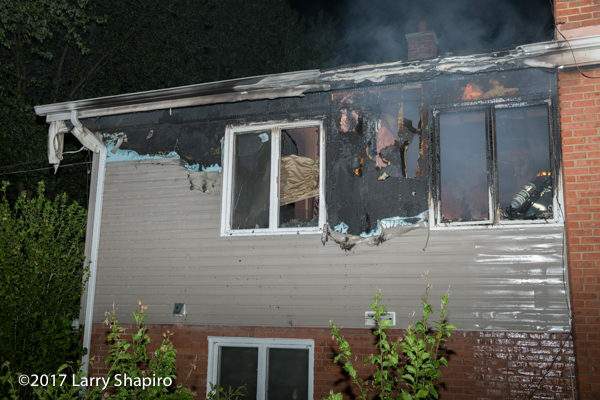 The fire unit was well involved on arrival with fire blowing out the windows and lapping upwards to the mansard roof, and then throughout the attic space. 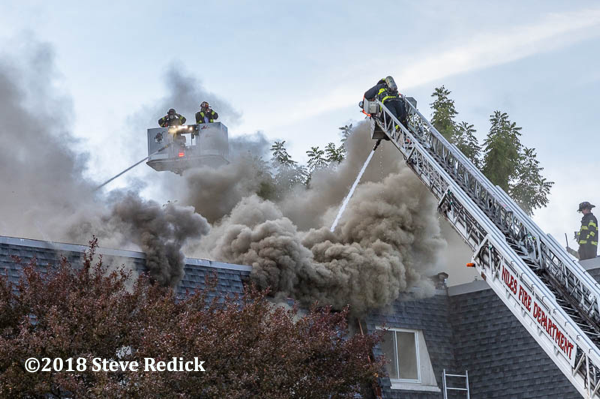 The fire was eventually upgraded to 5 alarms with one special alarm plus a request for a task force from a nearby division. 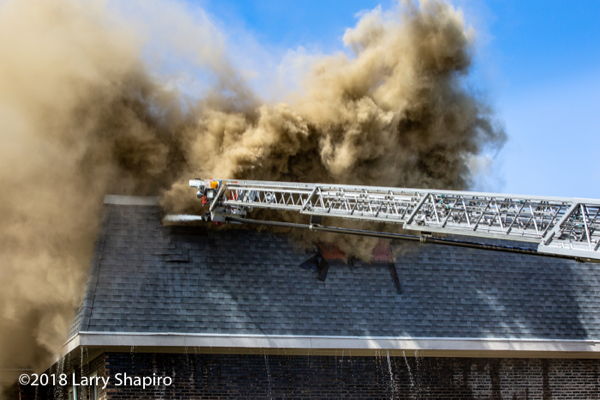 Due to reports of possible injuries and the magnitude of the fire, an EMS box alarm went to 2 alarms. 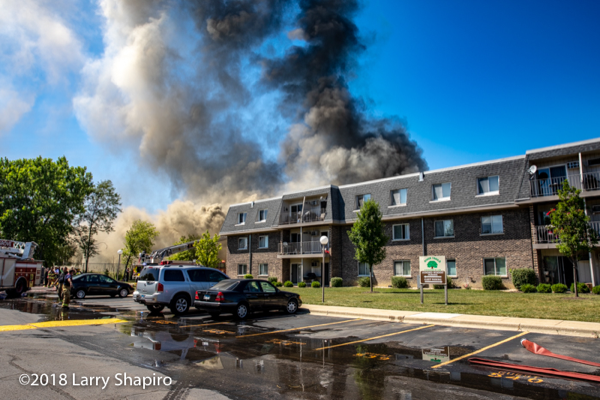 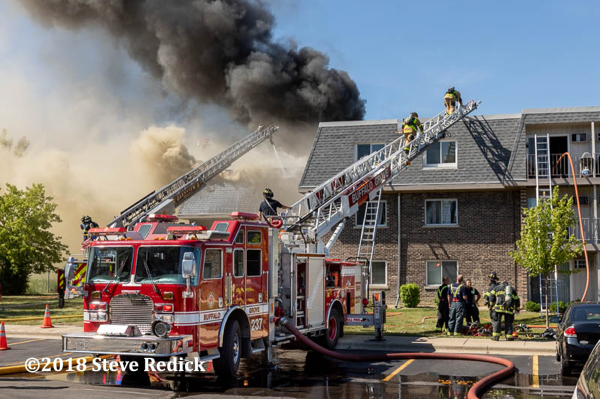 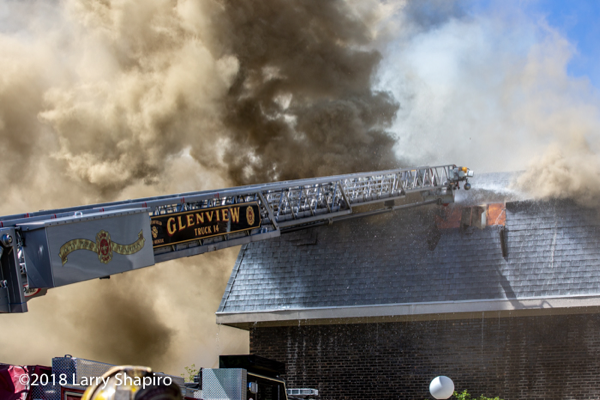 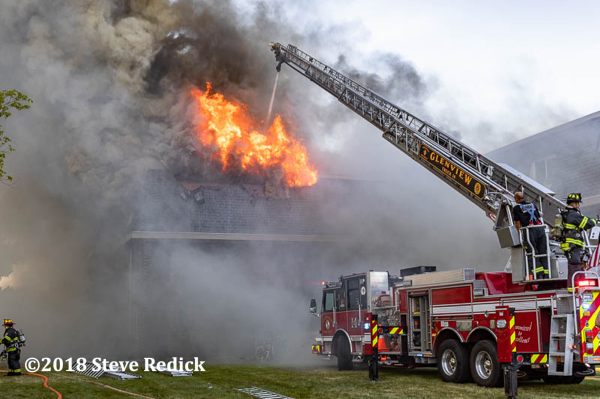 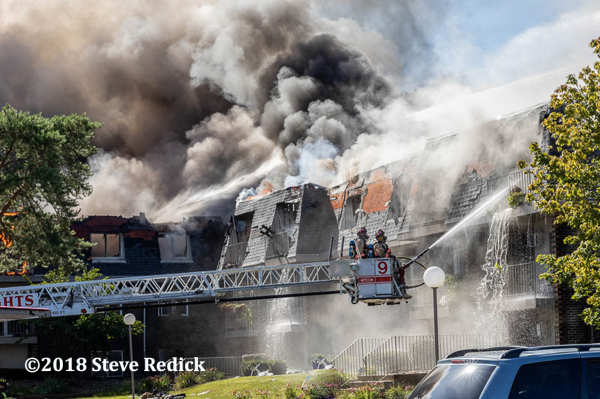 Before the fire was struck out roughly 9 hours of work, three of the four buildings sustained heavy damage to the top floors and roof with water and smoke damage on the floors below. 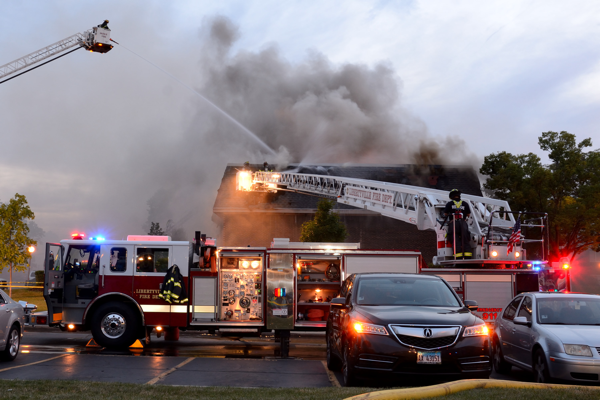 The fire was held from the fourth building. 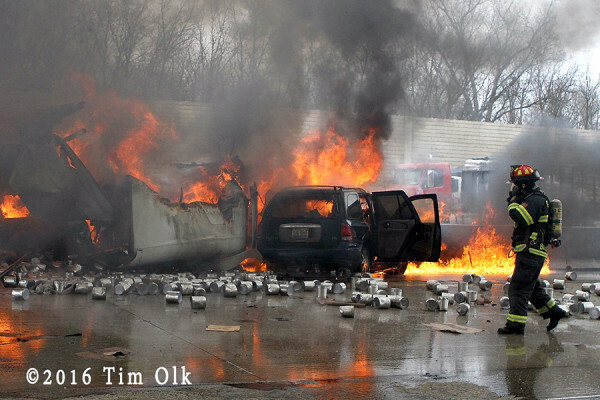 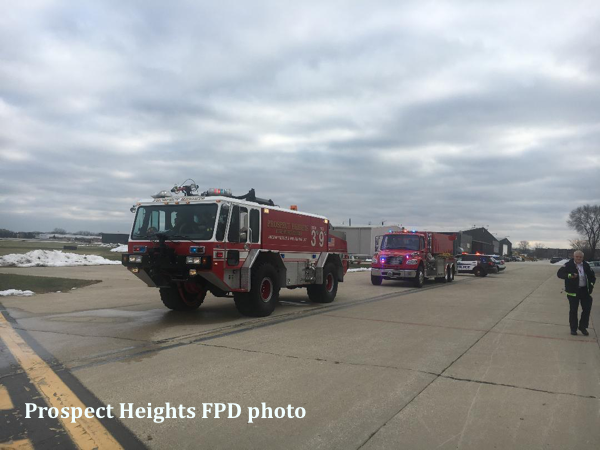 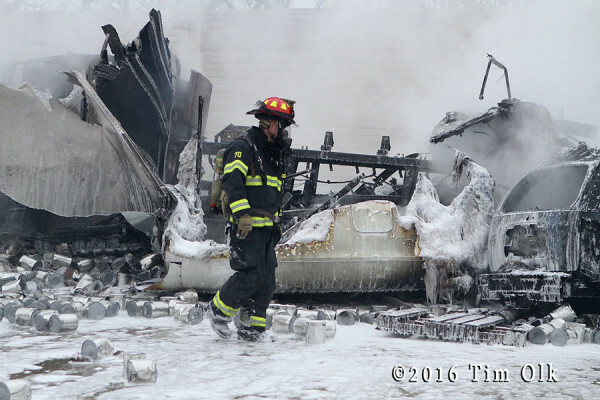 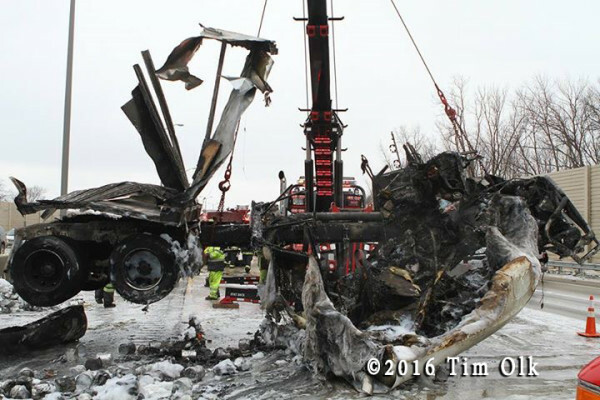 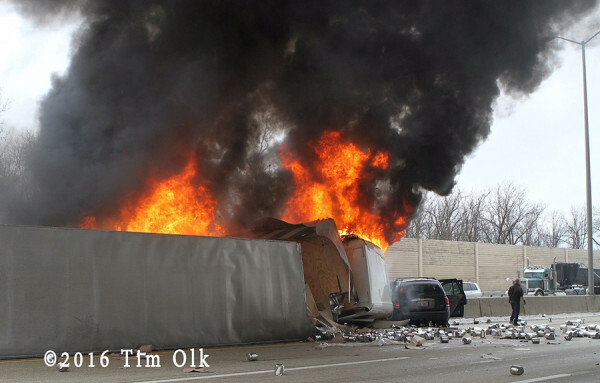 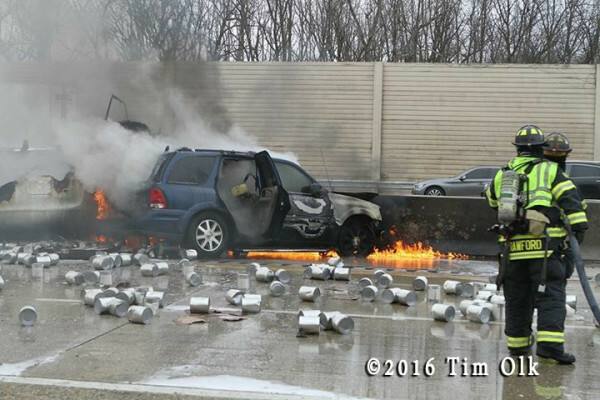 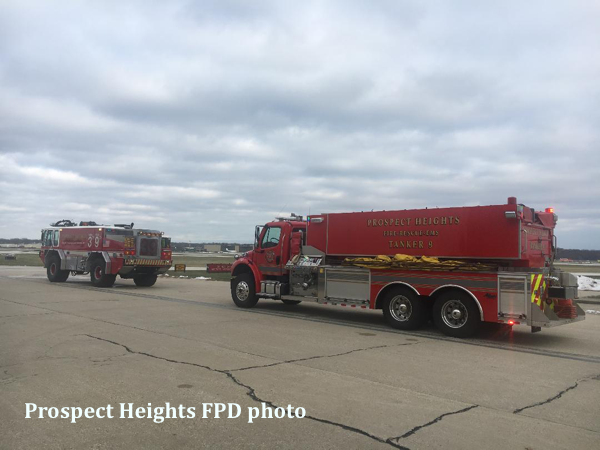 Deerfield-Bannockbun (IL) firefighters were called to the Tri-State Tollway (I-94) Thursday afternoon (3/3/16) for a crash at the 23.5 mm southbound. 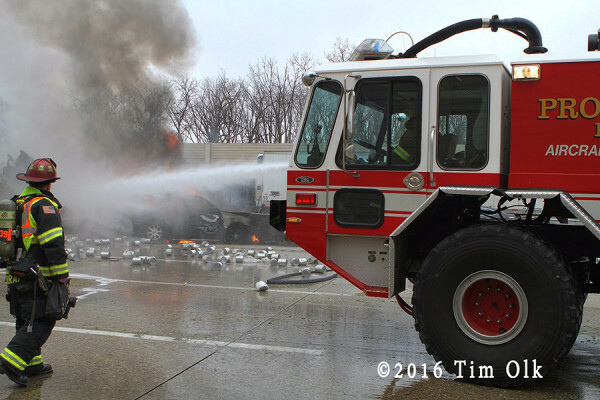 Units arrived to find a tractor-trailer that had rolled over after colliding with a car. 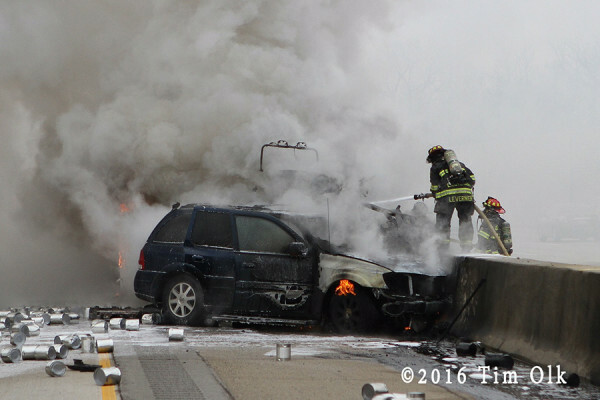 The truck and an SUV were in flames against the center median. 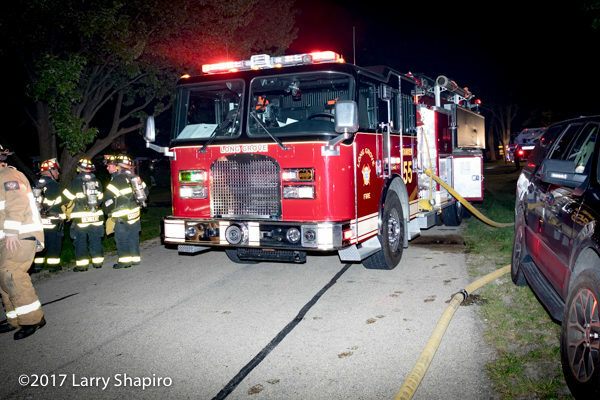 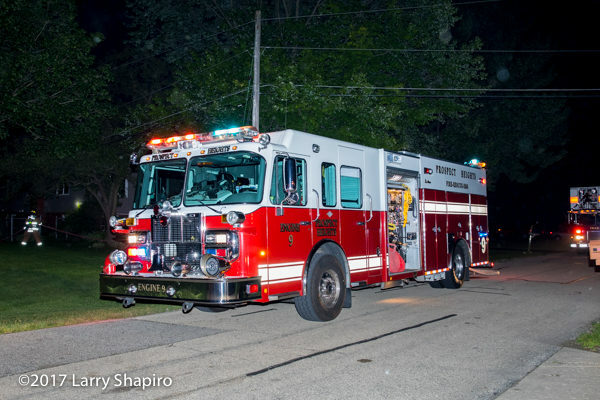 Lincolnshire-Riverwoods FPD responded to assist as well as Crash Truck 39 from the Prospect Heights Fire District.